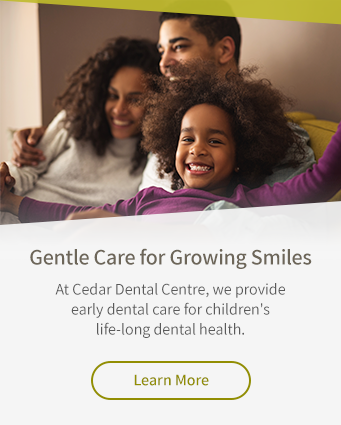 At Cedar Dental Centre, our Kamloops dentists provide snoring and sleep apnea diagnoses and treatment, including oral appliances that can help you manage your symptoms. What are snoring & sleep apnea devices? If you suffer from snoring or mild-to-moderate sleep apnea, an oral device or appliance might help treat your symptoms. Your dentist will determine whether you are a candidate for an oral sleep apena or snoring device, and help you achieve a comfortable fit. These appliances push the tongue and jaw forward, opening the airway and improving airflow. This helps keep your breathing regular during sleep, and prevents you from waking up as frequently throughout the night. The fit of your device is key to its function and comfort, so you should see your dentist regularly to ensure the appliance continues to fit properly.